GITAM University decides GITAM GAT 2019 Paper Pattern. Also, The exam pattern of GITAM Admission Test (GAT) 2019 is as mentioned below. 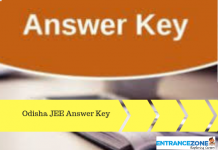 Candidate must thoroughly understand and analyze each point before an appearing for the entrance exam. Firstly, GITAM Admission Test 2019 will be an online examination. Also, the duration of the exam will be two hours( 120 mins). Then, the maximum marks awarded will be for 300. There will be 100 multiple choice questions in the exam. And, for each question, there will be four options, out of which one will be correct. The three sections of Physics, Chemistry, Mathematics, and Biology. While, for marking the correct answer, the candidates will get three marks. Also, Negative marking of one mark will be there to choose the incorrect response. However, for un-attempted questions, there are no marks. The table will be held candidates understand the paper pattern better. GAT 2019 (GITAM Admission Test) will be conducted online for admission to Undergraduate and Postgraduate courses. These courses are basically from Technology, Architecture and Pharmacy offered at Visakhapatnam, Hyderabad and Bengaluru Campuses. 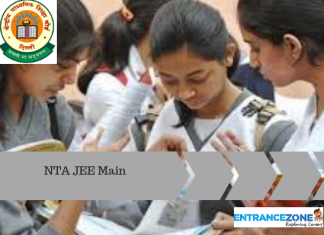 GITAM GAT 2019 Paper Pattern, Candidates have to follow the prescribed syllabus carefully during their preparatory time. Each one can download the syllabus by visiting here. gitam entrance exam previous papers, gat exam pattern, gat exam past papers, gitam previous papers with solutions free download, gitam qualifying marks, gat exam for nift.